As one of Suffolk’s leading mobile beauty therapists and make up artists, based in a beautiful rural village just outside Framlingham, I am delighted to offer a wide knowledge of make up artistry. 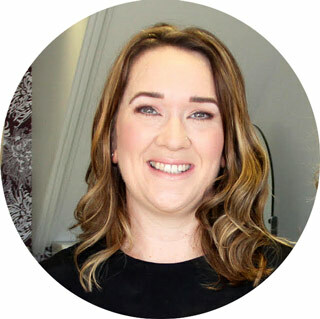 Since qualifying as a professional beauty therapist over 20 years ago, I have trained in a number of others areas including courses in lash extensions and airbrush make up. I have also trained at the London School of Beauty & Make-Up, which allows me to also specialise in bridal, fashion and catwalk artistry, which I love! I understand each individual bride simply wants to look perfect. That’s why I take away their worries and create a style for brides that compliments their natural skin tone and ensure they look beautiful all day long. It would be my pleasure to work with bridesmaids, mother of the bride and special guests too and I very much look forward to hearing from you. Just wanted to say thank you so much for the brilliant job you did with my make-up, as well as my bridesmaids' and mum's, for my wedding at Bruisyard Hall in October. I was so pleased with how it looked and it stayed flawless all day. Thanks also for the product recommendations - have been using the blusher, powder and lipstick ever since! Thanks again and I won't hesitate to recommend you to anyone needing a make-up artist in Suffolk"